Let me start by saying that I love Halloween and dressing up in costumes. I’m usually the person that starts to plan my Halloween costume months in advance, brainstorming all the fun costumes I could create. DIY costumes or ones that require creative makeup are my preference over a store-bought one. 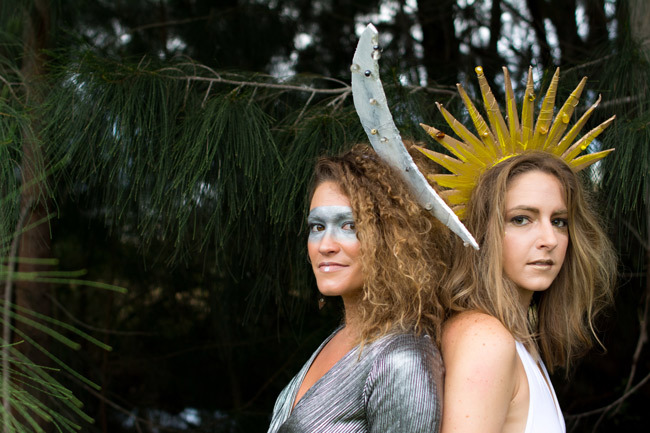 You might remember the Sun & Moon DIY costumes from last year. You can find the hair and makeup tutorials here, the costume pieces here, and the how to make the headpieces here. I’m all about repurposing items, but I’m not really in to repeating – my creative juices are flowing and I’m on the hunt for new costume inspiration! Unfortunately Halloween is fast approaching so I’m going to have to throw together a last-minute costume. Challenge accepted! Need to create a Halloween costume too? And fast? Here’s 5 you can throw together in a flash. This scarecrow costume is so simple and cute! 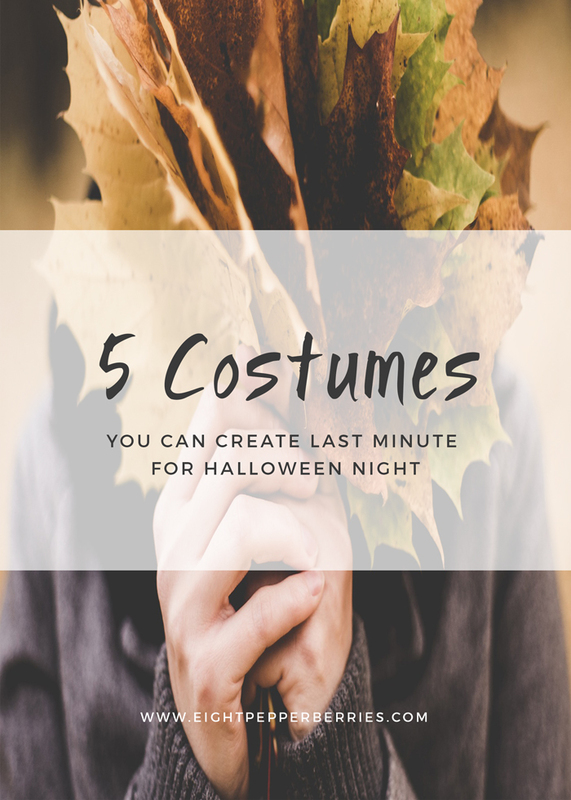 You probably already have all the items in your closet which means you can pull this Halloween costume together in minutes. Want to mix it up? Wear overalls instead of jeans, and don’t forget to stuff yourself with a little bit of hay! Let’s get real, you probably already have a stripe shirt lying around in your closet. Add a few more pieces to it and you’ll have yourself a jail bird costume in no time! Pair your outfit with a set of prison numbers and a winged eye look. Sorry, “get out of jail free” card not included. A flashback to your childhood past! These Guess Who costumes are so fun and the best part is that you can dress up your player whichever way you want. Perfect for you and your significant other or a group of your friends. Me love cookies! 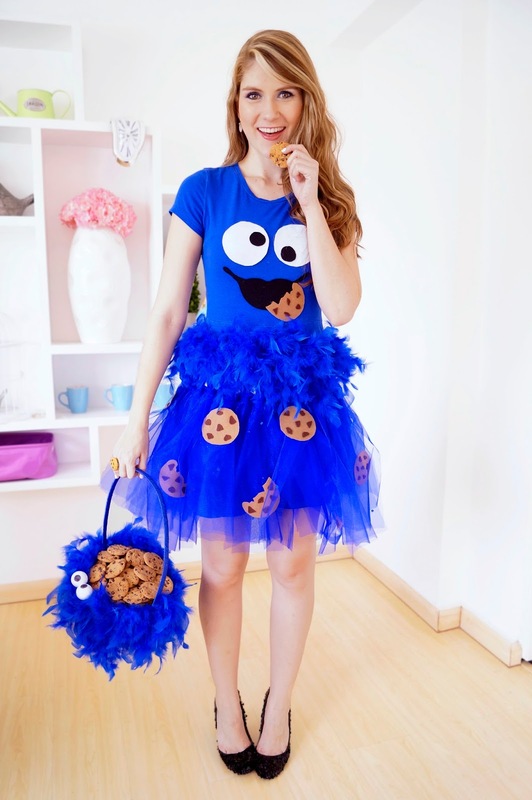 Tap in to your sweet side this Halloween with this Cookie Monster costume. Use felt to cut cookies and a face then glue to your shirt. Add a fun feather boa around your waist. You’ll be the hit of any Halloween party if you bring along a basket of cookies to pass out! Hopefully by now you have seen the hilarious and warm-hearted movie Inside Out. 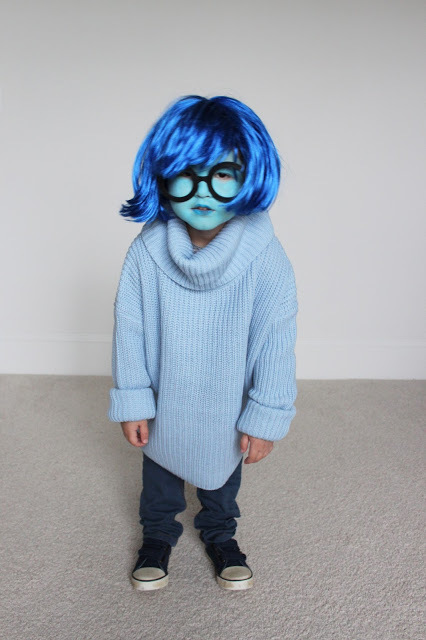 You could be any of the characters from the movie (they would make a great group costume), but seriously how adorable is this Sadness costume?! Perfect for grownups and little one’s! 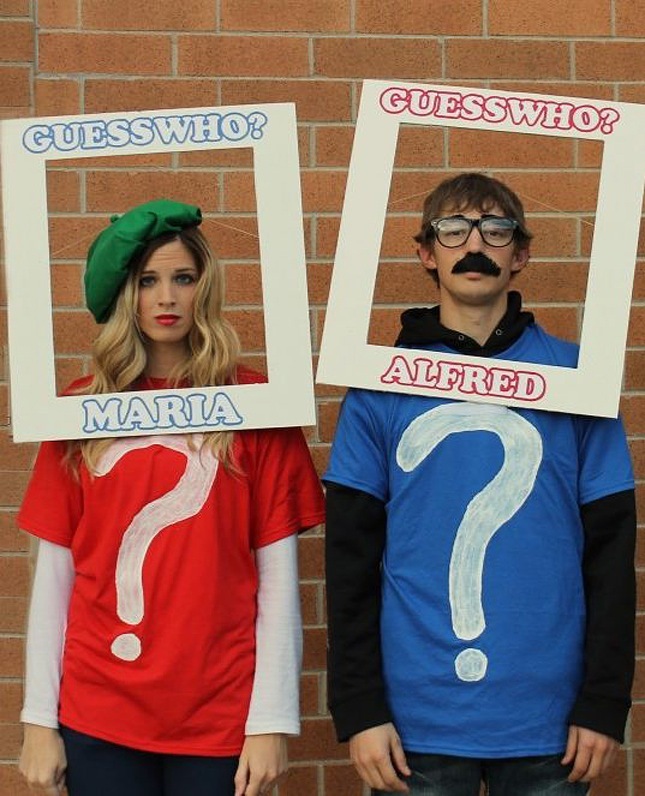 Share your Halloween costume idea with us in the comments below!